Since 1999, Internet Marketing Ninjas has become known as one of the top search marketing companies as well as a creator of valuable tools for the SEO community. Here are some of our latest innovations, all of which can help you get the best results from your SEO efforts. With Google featured snippets increasingly stealing eyeballs and clicks, ranking #1 just isn’t good enough anymore. Our pioneering featured snippet tool can help you claim position zero in the SERPs by curating keyword and snippet data and displaying it in a straightforward and actionable format. 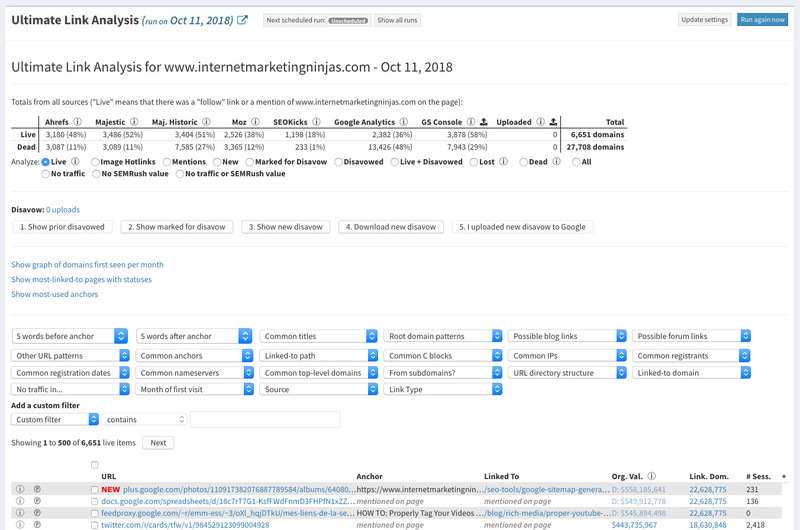 You’ll discover which featured snippet opportunities you’re missing out on and which snippets competitors have that are ripe for the taking, and you’ll be able to track your results over time. 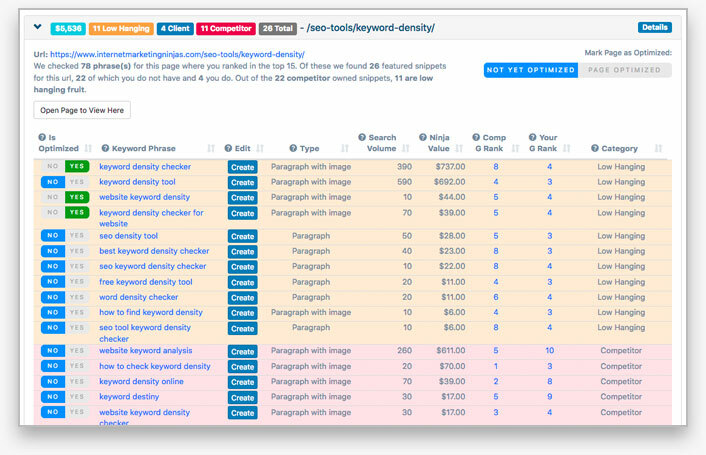 This is one of the best SEO tools for any marketer’s toolbox, and you can only get it from Internet Marketing Ninjas! Videos are increasingly stealing attention from the standard ten blue links, with video results appearing in an average of 20% of search results pages and climbing. 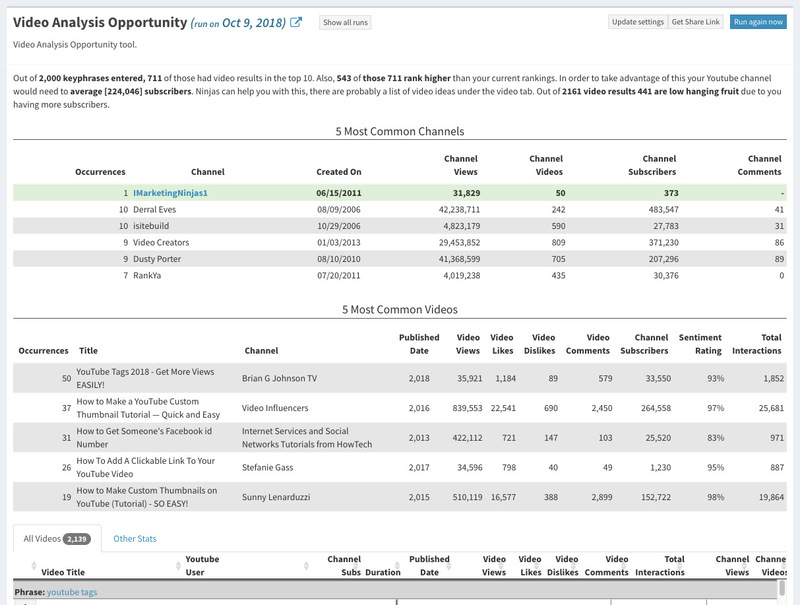 Be at the forefront of this shift in SEO by stepping up your video marketing game with our Video SEO Tool. 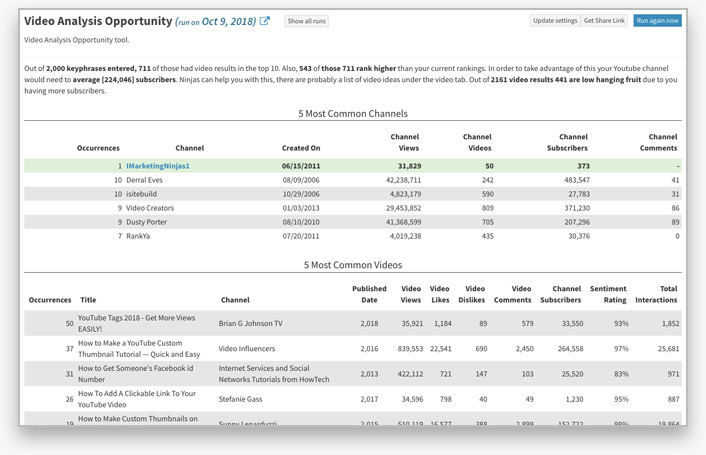 This utility helps you see which phrases you rank for return video results and then analyze data on these videos so you can find the best video opportunities for your website. 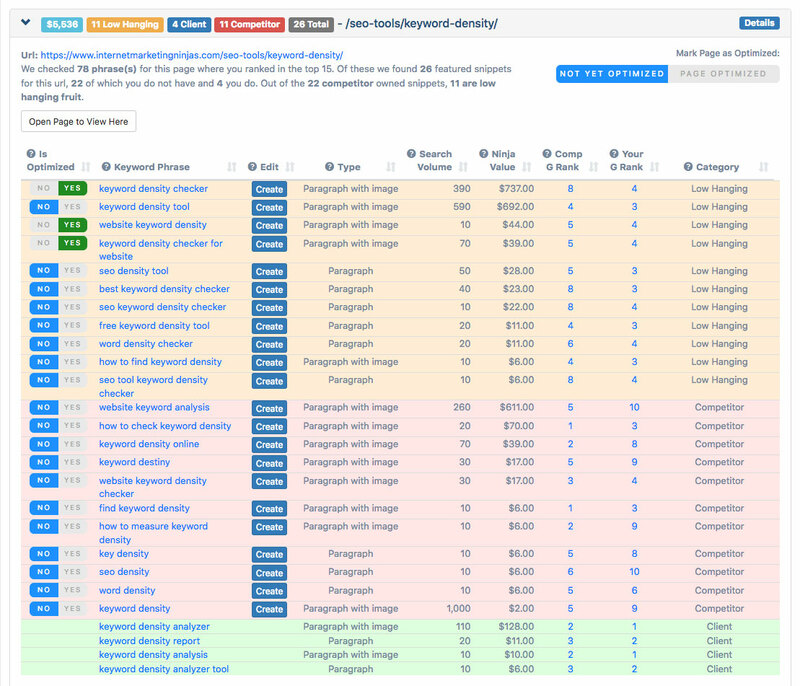 This utility culls data from a wide range of SEO tools online, then pulls it together to create the ultimate link analysis tool. 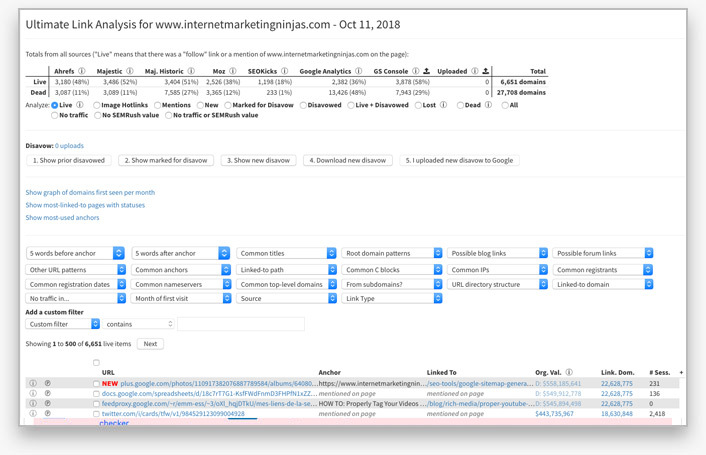 You’ll be able to track your new links, and this is also one of the best SEO tools to help you find patterns in your backlinks that could draw a penalty from Google. It can also help you check your disavows to make sure you’re not throwing out good links with the bad. Make sure your link profile is giving you the maximum results with this website analysis tool!